Following the success of the first edition of the WAV Party Madrid in 2012, a selection of artists from the World Art Vision (WAV) group return to exhibit in Madrid, this time at the Centro Cultural La Vaguada. From 15th January to 24th February 2014, 22 artists from 11 different countries will exhibit 40 artworks that range from painting, to photography and sculpture. 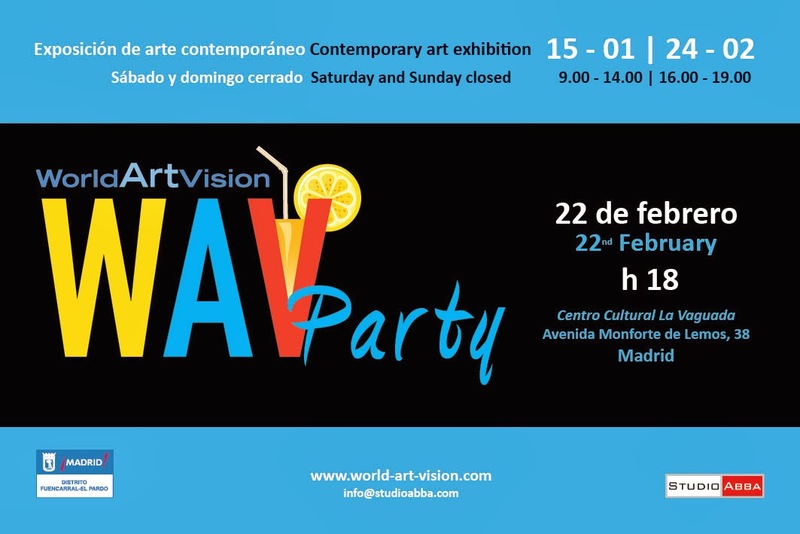 In particular, during the Madrid Art Week, that includes the world famous ARCO and other art fairs and events, the WAV Party will take place on 22nd February at 6pm at this Centro Cultural La Vaguada, under the management of Manoli Ruíz Berrio. Invitations to the Party extend to the World Art Vision artists, but also gallery owners, journalists, critics and people from the art world who are in Madrid in that week just to see the new and exciting art on display. The exhibition is held in conjunction and collaboration with Llei d'Art Madrid 2014. WAV is organised by Studio Abba in Florence, who curate contemporary art international group exhibitions, including OpenArtCode (Paris, London, Monaco and Shanghai), the Chianti Star Festival in Tuscany and many other solo exhibitions and events held in prestigious locations worldwide. The first edition of World Art Vision was held in Cancun, Mexico, at the Cancun Center back in December 2008 where it paid tribute to Frida Kahlo and Diego Rivera by welcoming "Los Fridos" Arturo Garcia Bustos and Arturo Estrada, assistants to Frida Kahlo and talented artists, and the artist Rina Lazo, assistant to Diego Rivera. The second successful edition was held at the Real Círculo Artístico, Palazzo Pignatelli in the Barrio Gotico area of Barcelona in 2011. 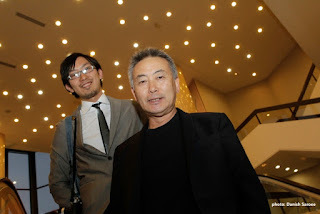 The WAV exhibitions and parties are always considered a unique opportunity to meet the artists directly. We thank Llei d’Art Magazine and Art & Artworks that are two of our media partners.